As a business owner, you likely have to watch your business expenses carefully. You may be concerned about preventing fraud and employee theft and managing your company’s expenses. With a business debit card from Bento, you can use your card’s features to do all of these things. 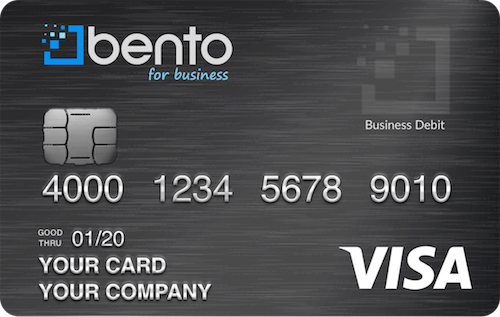 The business debit card from Bento uses funds from your business accounts and is not a credit card. There are varying plans, and the cards are low-cost. You can have a plan that includes up to 10 employee cards for as little as $29 per month. There is a 60-day free trial so that you can try out the service before you make a purchasing decision. You can turn off a card with the single click of a button, and you can deposit money onto a card from anywhere, 24 hours a day. The Bento business debit card service plans also allow you to designate different categories of expenses to different cards and to set daily limits for them individually. Controlling and managing expenses for businesses can be a real headache for many small businesses. When you choose to use a debit card for business from Bento, you can easily handle these tasks. The cards allow you to assign categories of expenses to different employees. You can limit a card to be used for gas and travel expenses for someone whose job requires frequent travel. For another employee whose job includes the procurement of office supplies, his or her card can be limited to those types of expenditures. Each card will decline purchases that are not for authorized goods or services. The ability to set daily or weekly limits on each card can also help you to control the amount of money your company is spending. Finally, since it is not a credit card, there is no interest charged on purchases made with your business debit card from Bento. The debit cards come with a hassle-free mobile app so that you can easily control the expenses from your phone or other mobile devices. Finally, your company can get rid of the hassle of using reimbursement forms. Fraud and employee theft are unfortunate problems that business owners sometimes have to face. When your business’s expenditures are handled with a business debit card plan, you can help to prevent these problems from ever happening. Although it is not something expected of the people you hire, Bento’s debit card for business ensures that an employee could never write checks to themselves or withdraw money. Instead, the cards that they carry will be limited to making the types of purchases that you have designated within the preset spending limits. Any unauthorized items will automatically be declined, and you can turn off an errant employee’s access with a tap or swipe on your smartphone. Bento also does not allow people to make withdrawals from the Bento debit cards, further protecting you and your business. Bento understands the importance of security for small businesses. 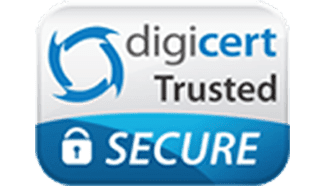 Our cards utilize highly secure systems with SSL encryption. Deposits that your company makes on a business debit card account are FDIC-insured up to $250,000, helping you to feel an added level of protection. To get started on your free 60-day, no-obligation trial, fill out our lead form. You can also call Bento for Business at 866.220.8455 for answers to your questions.